Faster than a glacial bullet... I now offer up blog posting #2. Intentions were never to have this be a frequent sharing of personal minutiae, but rather occasional entries of notable additions. There are three such updates. Slowly, I’ve been including small groups of early paintings - - decades-old, 35mm slides scanned on a borrowed, portable device of less than premium quality. These images serve historic purposes only, giving a sense of how things evolved. Under Photography, a sub-category has been added following a recent trip to Cleveland to see five films by Agnes Varda and a catalogued installation of manipulated photographs by HEINECKEN, POLKE, AND FELDMANN. I was equally impressed with the Museum’s architecture, grounds and permanent collection. 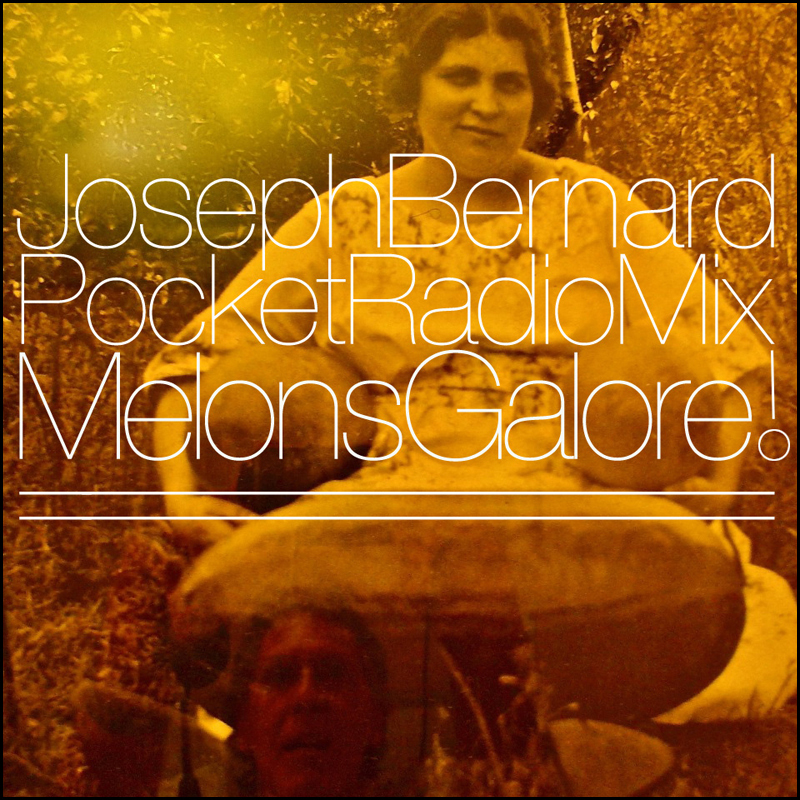 The most exciting entry is my show, Melons Galore!, on Jeffery Plansker’s PocketRadio, a long-running series of one-hour music programs, often recorded live in his Pasadena studio. These eclectic mixes, available for download on his site jefferyplansker.com are labors of love by Jeff and those invited. Even with all the variables built-in, there’s a personal constant to these shows that goes well beyond what conventional broadcast music radio seems capable of delivering. There’s truly so much more out there than what’s on the dial. Partake!